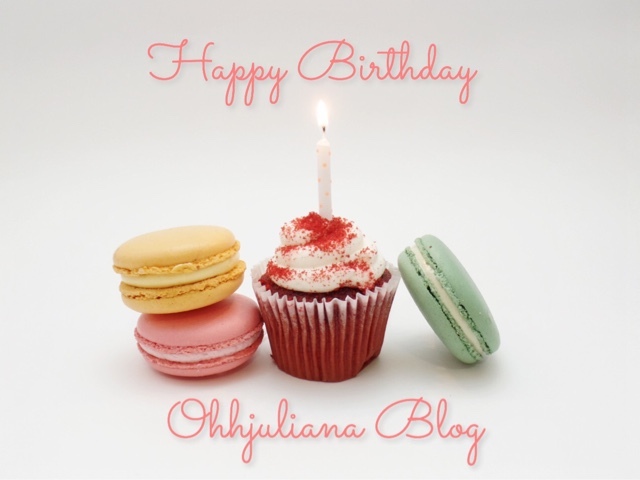 As of today, I have officially been blogging for a whole year! I am so happy that I have continued to blog especially since I kind of neglected my blog for a few months at the end of 2015. Ever since I came back I promised myself that I would start posting a lot more on here and to never neglect my blog again. I wanted to become a lot more dedicated to this place. I am beyond proud of myself for doing exactly that. Since 2016 started I have been posting so much more frequent, at least once a week sometimes even more! I thought that was going to be a little difficult also that I would eventually run out of ideas on what to blog about. Luckily that has yet to happen. I'm always catching myself thinking of new things I can write about and share about here. I'm constantly adding new ideas to my list of things I want to post. I love to sit down on my desk for a few hours of the day and just create a new entry for my blog. I'm also very happy because of how much I have grown from when I first began blogging. What I love most is that I am having so much fun doing all this. I never want to post something that I'm not proud of. I put so much work and effort into every single post of mine. I never want it to feel like a chore for me to come on here and write something. My goal when I started my blog a year ago was for me to be able to come on here and look back at all the wonderful memories I've made throughout the year(s). 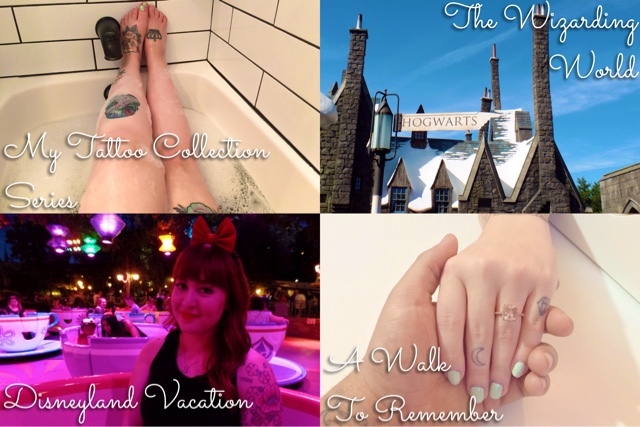 Look back at all the magical trips Rudy and I taken (mainly to Disneyland haha.) 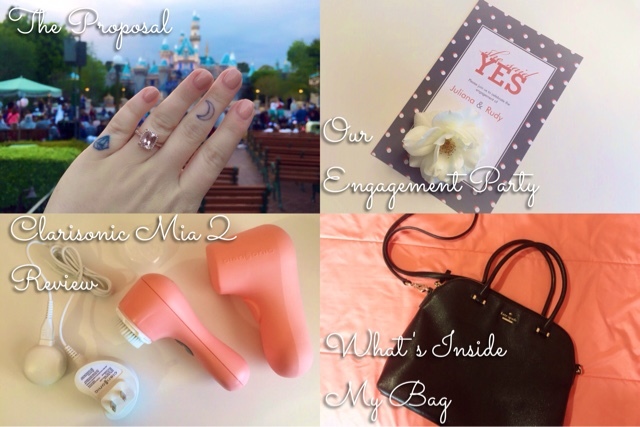 Beauty Favorites, Hauls, Foods, Recipes, Tattoos etc. Even remember something that I may have forgotten down the line. I have never cared if my blog was popular or not because I'm doing it mainly for myself and anyone that is interested in anything I post. I am very grateful for everyone who does read my posts and have any sort of interest in anything I share here, I don't think I say that enough. Thank you, everyone, for all the support! To celebrate today I wanted to share some of my most popular posts along with some of my most favorite ones. Now cheers to another amazing year filled with even more memories and more growth in this blog! i love your blog congratulations! Congratulations again! I'll have to go back and read the Clarisonic Review I don't think I ever read that one. Yes read it, my skin has improved so much even from the photos I shared on there. You'll see and you've seen my skin now too. I love it and you need to get one. Oh and I found out if you only use it once a day you only have to change the brush head every six months!